The wide range of home décor products available at @Home furnishings have all kinds of items to indulge your sense of style. The Peony Potted Plant is one such product that allows the inclusion of nature into an ultramodern home. 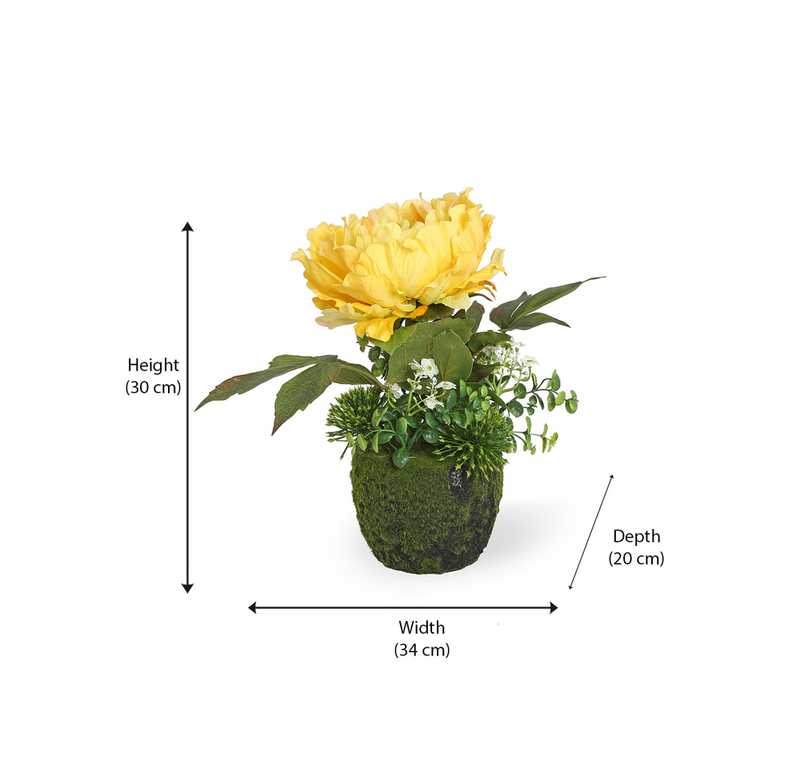 The Peony Potted Plant has a height of 16 cm, and a length and width of 34 cm and 20 cm respectively. The plant may be artificial, but it is lifelike in its resemblance of an actual peony plant. The product has a pot, leaves and a large yellow flower at the top which adds a splash of colour to the confines of your home. The material used for the making of the product is synthetic fibre and wicker, which makes it easy to clean and guarantees the longevity of the product. Looking for a bit of colour to put in your living room? If you are of the opinion that a natural element is lacking in the design of your home, the Peony Potted Plant offers a solution to both these concerns. The artificial plant adds the element of nature foregoing the hassle involved in growing and nurturing an actual plant. The yellow colour contrasts with the predominantly cold colour-scheme of most modern interior designs. Place it in your living room or in your dining area to enliven the ambience of the space.